Sometimes traditional insurance isn’t the best option for your business. But what are the alternatives? These are only a few of the alternative risk transfer techniques available to provide protection for your business outside of the conventional insurance model. These alternatives can result in greater control in your own destiny and greater return on your investment if, and only if, they are entered into for the right reasons, managed prudently and by professionals committed to your long-term success. Entering an existing captive or starting your own should be a careful decision made for the long-term and with clear goals for your company in mind. The professionals at Murray help you first clarify your financial and risk management objectives, then sort through the detail to reach an understanding of the fundamental concepts that differentiate your options. Entering into an alternative risk program commonly involves sharing risks with others, blending services and expenses and building the best program for the members as individuals and as a group. The adage “look before you leap” has never been more applicable than in your selection of risk sharing partners and your service and management team. To successfully share risk, your business partners must also share your goals for the program, your commitment to success, your financial stability and your business ethic. The same can be said for the team(s) you select to build and support your program. At Murray, we throw out the “cookie cutter” model and engineer solutions to get you where you want to go. We can design the model, provide claims and risk control services, manage finances and infrastructure or do all of the above. The choices are endless – and they are all yours. Greater control in your own destiny and greater return on your investments are two important by-products of a successful program. But, we believe the best programs include another element – they support the group without losing sight of YOU. The Murray team recognizes both with professionalism, expertise and personal commitment. Sharing risk shouldn’t mean losing your voice – it should give it strength! In short, the difference is expertise, experience, dedication, and commitment to the complex alternative risk arena and your best interests. Our staff is uniquely qualified to support you on all fronts as you move from the traditional to the alternative world and make it your own. CARE is a captive insurance company for not-for-profit continuing care retirement communities in central Pennsylvania who demonstrate their commitment to excellence in providing care to the aging. Contact Sheri Riley, Vice President, to discuss this program. 717.397.9600 or send her an email. Company executives face unique ERISA liability challenges in their capacity as directors and/or officers. 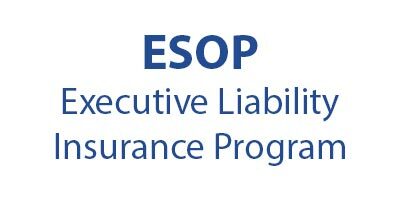 Our ESOP Professional Liability program, endorsed by The ESOP Association, helps ensure proper protection by reducing the potential exposure to loss. Contact Jeff Gelburd, Vice President, to discuss this program. 717.620.2476 or send him an email. CPP is a physician- directed mutual insurance company with the sole purpose of providing medical professional liability insurance and risk management services to physicians and related health care professionals. Unparalleled risk management and superior customer service has resulted in excellent member retention rates since the program was formed in 2003. Contact Thomas Martone, Vice President, to discuss this program. 717.735.3046 or send him an email. This group was started in 1989 to give construction clients who share similar risks and a proactive safety culture the opportunity to earn money back towards their bottom line. This dividend program has returned more than $8,000,000 in dividends since inception, and continues to be a true success story for members. Contact Dave Dvorchak, Vice President, Construction Solutions to discuss this program. 717.397.9600 or send him an email.